Real relief from real medicine. Helps treat, protect and relieve - cold sores, sun &amp; fever blisters, chapped lips. Enriched with Lysine, Vitamins B6, C &amp; E, Lemon Balm. SPF 30. Cold sore lip balm stick. Herpecin L is todays answer to dry, chapped lips, cold sores, sun &amp; fever blisters. Its easy to apply and promises to give you better relief from cold sores and fever blisters. Real relief from real medicine. Helps treat, protect and relieve - cold sores, sun & fever blisters, chapped lips. Enriched with Lysine, Vitamins B6, C & E, Lemon Balm. SPF 30. Cold sore lip balm stick. Herpecin L is todays answer to dry, chapped lips, cold sores, sun & fever blisters. Its easy to apply and promises to give you better relief from cold sores and fever blisters. 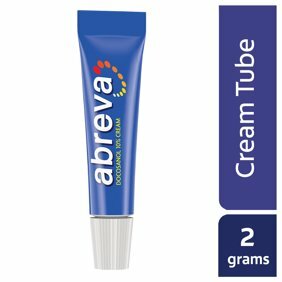 Relieves dry, chapped lips.,Helps treat and relieve cold sores/fever blisters.,This product is todays answer to cold sores, sun and fever blisters, and dry, chapped lips.,Helps treat, protect and relieve. Warnings: For external use only. Do not use: on broken skin; if you are allergic to any of the ingredient in this product. When using this product: keep out of eyes (Rinse with water to remove); apply only to affected areas; avoid applying directly inside your mouth; do not share this product with anyone since this may spread infection. Stop use and ask a doctor if: rash occurs, condition worsens or does not improve within 7 days. Keep out of reach of children. If swallowed, get medical help or contact a Poison Control Center right away. Other warnings: Skin Cancer/Skin Aging Alert: Spending time in the sun increases your risk of skin cancer and early skin aging. This product has been shown to help prevent sunburn where applied on lips, not skin cancer or early skin aging. Ingredients: Active Ingredients: Dimethicone (1%), Meradimate (5%), Octinoxate (7.5%), Octisalate (5%), Oxybenzone (6%). Purposes: Skin Protectant, Skin Protectant, Skin Protectant, Sunscreens, Sunscreens. Inactive Ingredients: Helianthus Annuus (Hybrid Sunflower) Oil, Petrolatum, Ozokerite, Mineral Oil, Microcrystalline Wax, Talc, Titanium Dioxide, Beeswax, Melissa Officinalis (Balm Mint) Extract, Cetyl Lactate, Glyceryl Laurate, Flavor, Lysine HCl, Ascorbyl Palmitate, Tocopheryl Acetate, Pyridoxine HCl, Panthenol, BHT. Instructions: Directions: Keep carton. It contains important information. Adults and Children 12 Years or Over: Apply liberally and evenly to affected area on lips at first sign of cold sore and 15 minutes before sun exposure. Rub in gently but completely. For cracking or dryness continue to cover lips until absorbed. Reapply liberally as often as needed and at least every 2 hours when in sun. Use a water resistant sunscreen on lips if swimming or sweating. Children Under 12 Years: Ask a doctor. The Herpecin-L Lip Balm worked as well as, if not better than, the really expensive alternative (I don't know if I can mention other brand names here). But I won't get the $20 stuff ever again. This worked wonders and the cold sore was almost completely gone in 3 days. I'm prone to getting fever blisters a couple times a year. Whether it's from being in the sun too long, stress, or having a fever, but since I've met this cutie those days are over! I've been using Herpecin for 2 yrs now, within those 2 yrs I've only had 2 mild flare ups and it was my fault for not using my Herpecin! Best product for cold sores!! I have always struggled with cold sores/fever blisters but have now found a preventative product! I use this lip balm almost daily, and when I feel a sore coming on, I slather it on my lips. Usually Herpacin-L prevents the blister from developing completely, or it disappears in less than a day! Wish I had found this years ago! So much better than any other product on the market that is made for cold sores. This is the only thing that works for me . This works better for me than Abreva and costs a LOT less.